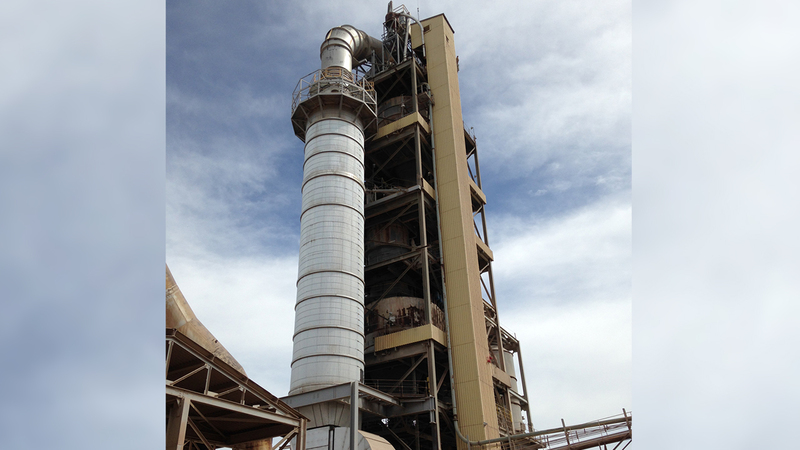 The Fives' Gas Conditioning Tower is a vertical evaporative cooling tower designed to reduce gas temperatures for thermal processes to a lower temperature, required for downstream process purposes or emission control. 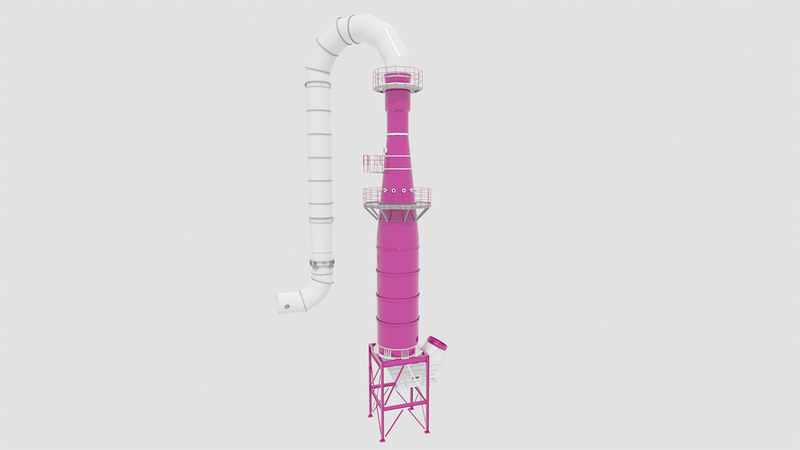 Gases from the process will be ducted to the Gas Conditioning Tower, which features a gas distribution device near the top inlet. After the flue gas has been distributed inside the evaporative cooling tower vessel, it will be contacted with water droplets, injected co-current with the gas. The droplets, generated by dual-fluid spray nozzles, are evaporated by the hot flue gas as the droplets descend through the vessel, thereby quenching and cooling the flue gas.